It’s almost Thanksgiving! 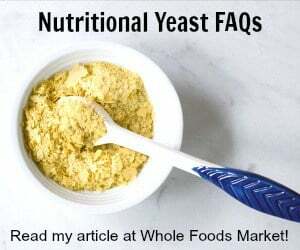 Do you know what you’re making yet? We always go to the Triangle Vegetarian Society’s big shindig for lunch, but then later we stop by another friend’s to hangout with them and eat a little more. If this is your first vegan Thanksgiving, you may be worrying over what to serve as a main dish. You can relax, the main dish can be anything when you have sides that fulfill all of your fall cravings. I’ll have a round-up of main courses, and you can check out my vegan Thanksgiving pie round-up from last year if you want to get a jump on dessert! 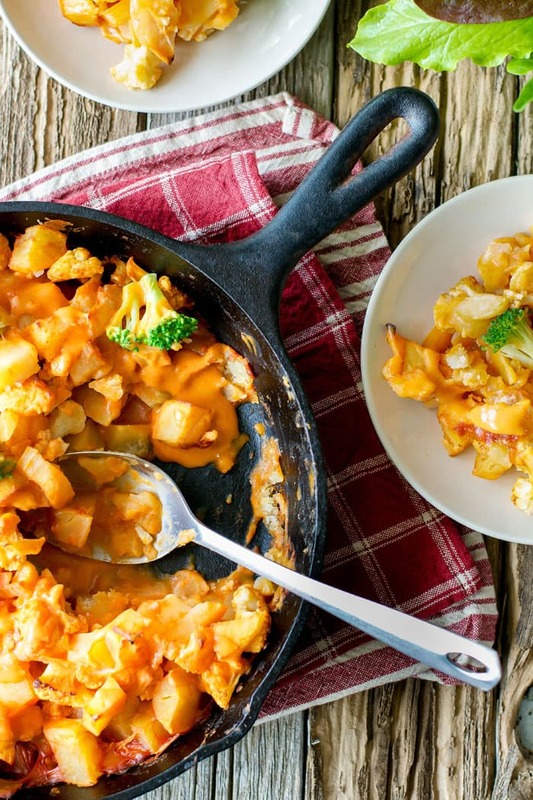 This Cheesy Cauliflower and Potato Bake from The Abundance Diet is perfect for most of your guests. It’s creamy, screams Thanksgiving decadence, but it’s gluten-free and has no added oil! 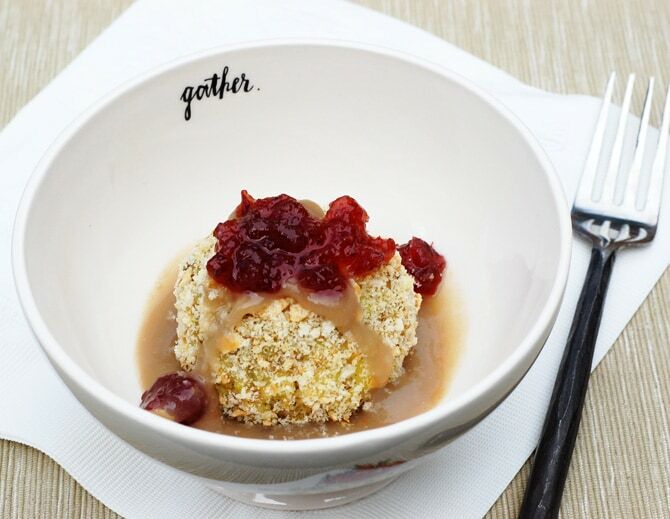 My new favorite side dish is my Thanksgiving Potato Stuffing Balls with a Cranberry Center. It has everything Thanksgiving all in one bite!! Try making mini ones for the perfect appetizer too. to free up your oven space for all the other goodies you’ll be making! 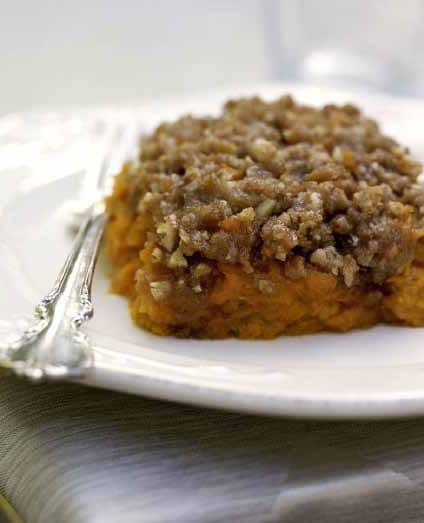 Looking for a twist on the traditional sweet potato casserole? Try these easy Gingerbread Sweet Potatoes. They are full of cranberries, pear and spices all topped with gingerbread cookie crumbs. 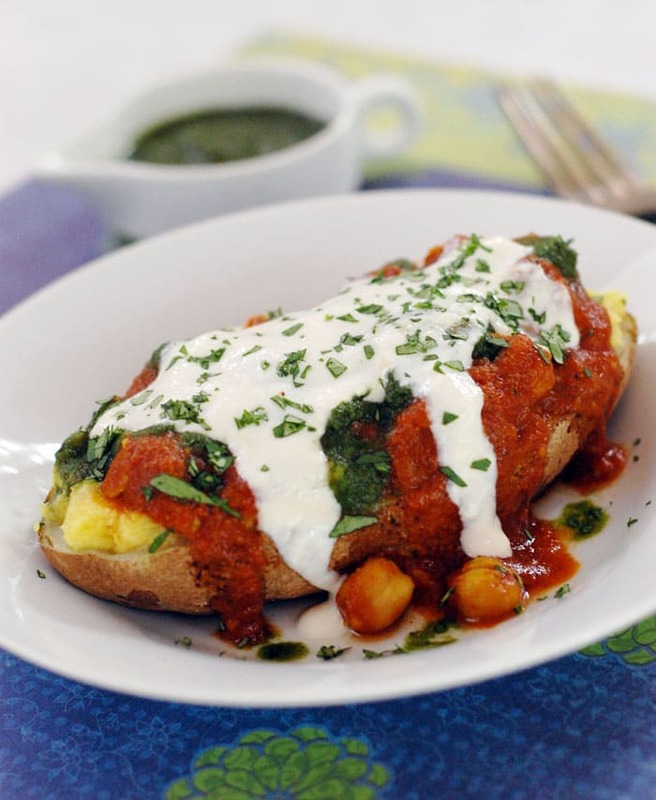 These Indian Stuffed Potato Chaats are not traditional, but I say throw caution to the wind! If you are going to someone else’s Thanksgiving bring these to have a great main dish for yourself. Plus you’ll be introducing your friends to some new Indian flavors! I just made a stuffed potato ball from Cooking Light – SO good… and Somer’s Cheesy Cauliflower Potato Bake – one of my favorites! 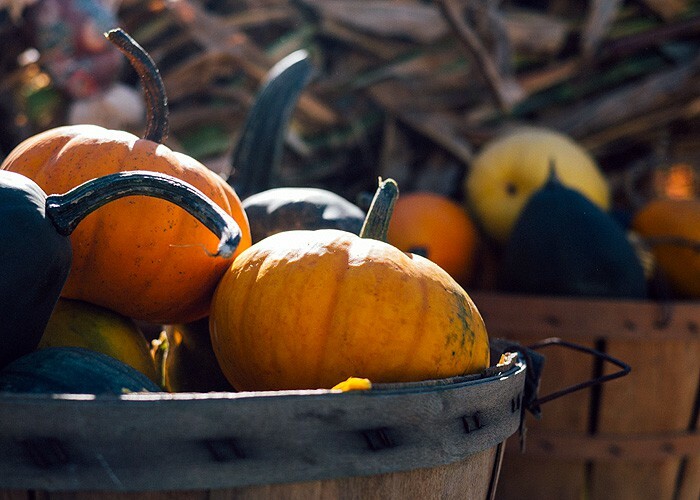 All of these look amazing and so perfect as a side dish! I love it! Especially the potato stuffing balls! All these options sounds really nice and easy to make I am looking forward to make the Cheesy Cauliflower and Potato Bake yum! 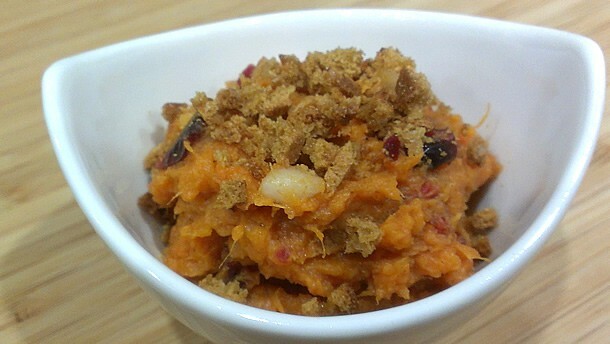 This is one of the most creative Thanksgiving side dish posts I’ve seen, vegan or not! Seriously impressive options – thanks for sharing this Kathy! I love all of these options, including the non-traditional Indian one. So many great recipes. Thanks for sharing! Stunning an delicious collection. Thanks for sharing this with us. So Glad to see so many wonderful side dishes for Vegans. I am always struggling to find something to eat when I go to other people’s Thxgiving parties. Your cheesy cauliflower bake looks absolutely delicious. This is such a wonderful list of vegan recipes, Kathy. I will be forwarding this to my friends who happen to be vegan. Those Gingerbread Sweet Potatoes look and sound so good, I think those would be a great addition to any Thanksgiving table.